ERP is a business management software that is implemented by many business houses to increases their productivity and performance. It is a very powerful business tool. It is used to collect, store, manage and interpret data from many business activities like Product planning, cost, Manufacturing or Service delivery, Marketing and Sales, Inventory management , Shipping and payment etc. Each ERP software module has its own functional area and used by the organization for better productivity and performance. 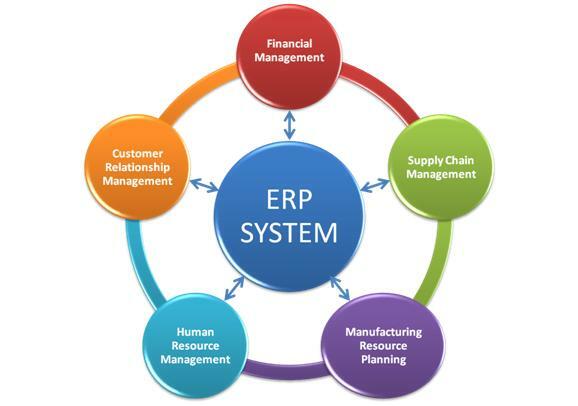 The main feature of an ERP system is a shared database that supports multiple functions used by different units. For example: Accounting and sales can rely on the same information. It facilitates employees to do their job more efficiently. Reduces risks and improves financial compliance. Increases customer service because it provides one source for billing and relationship tracking. Provides a global, real-time view of data that enables companies to do improvements. Time and Cost are the important factors that need to be considered before buying or implementing an ERP system. The implementation can take several months to couple of years. The cost is also not fixed and varies on the basis of your requirements and the features provided by the vendor. So, it is advisable to thoroughly analyze the vendor's ERP package modules, features and supporting infrastructure before implementing the ERP.